Your website is the foundation of your inbound marketing strategy. You must first have a great website before you start driving traffic to your site. Every website – whether you choose the good, better or best option – starts with a 1-2 hour planning meeting when talk about your goals, your brand, your audiences and your core messaging. In other words, we touch on the very basics of your marketing strategy. Like what you see in this website? This website was built on a Weebly design template. It’s a great platform for you to get found online by your key audiences. This website includes everything in the "Good" website, plus the capacity to conduct e-commerce for up to 5 products, including a shopping cart and PayPal integration. This website includes all the basic components for a dynamic website, using a WordPress template with a theme that works well for your business. Then, we also throw in the SEO basics: the keywords in the "sweet spot" of search that will get your website found. And we also include website analytics/goal tracking and training. This website includes everything in the "Better" website, plus the capacity to conduct e-commerce for up to 20 products, including a shopping cart and PayPal integration. This is a custom-built (not on a template) website: the design, navigation and elements of the website would be uniquely yours. 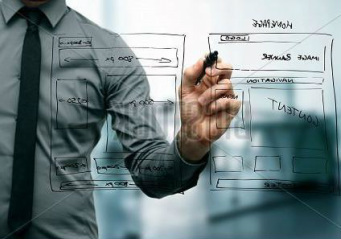 Please contact us for a proposal for developing a custom-built website for your business. Setting up your website is just the start – now you need to add SEO, content, and a strategy for promoting your new site via social media, content and e-mail marketing. See our Packages & Pricing for everything you need, including the SEO and content that will get your website found, and the “hook” that will capture leads when they get there!